Luck is always in your life. Luckytrue Development is a Startup that creates an Application for many people to use. 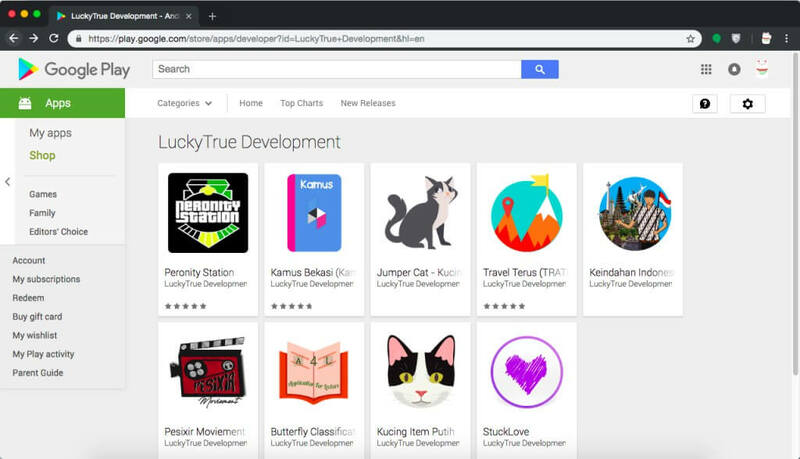 LuckyTrue Development itself was formed in January 2017 by a vocational student and his first project was "Kucing Item Putih (Black & White Cat)". a list of projects that we have made, and used by many people. Share how to create a program & knowledge for those of you who want to learn. Start Coding Today! LuckyTrue Development has been honored to partner up with these market app store. Please leave a message, we will reply to your message as soon as possible. © 2019 LuckyTrue Development All rights reserved.